Sometimes, when I’m feeling generous and radiating with self worth, I’ll take a break from typing Instagram captions about how truly beautiful life is and go shopping for some random luxury good that comes to mind, and sort all of the internet’s results from high to low in price. No, not a $31,000 Gucci crocodile bag. That’s was far too cheap. 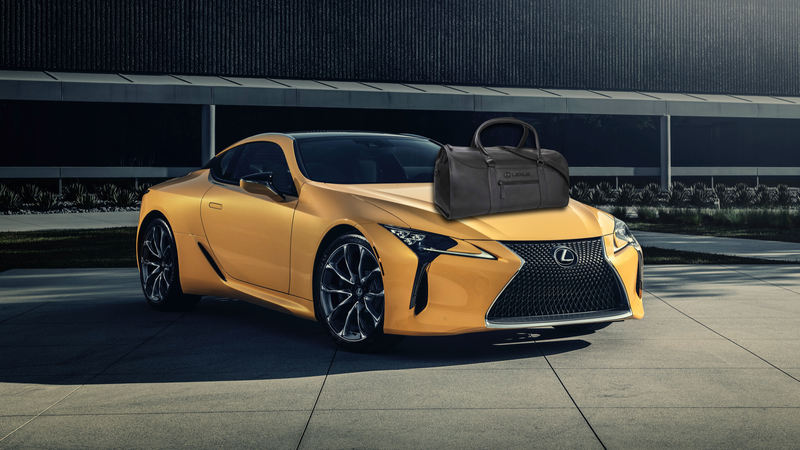 What I found was far better than anything a simple internet search could bring me: the $106,210 Lexus-branded leather bag, so wonderfully understated yet so, so very expensive. You just have to treat yourself from time to time, you know? You’re worth it, and so am I. Particularly me. It also comes with a less understated bonus, one bright-yellow “LC 500 Inspiration Edition” car. Which is fine. There’s room in the garage for it, I guess, or maybe my niece would want it. But the bag? It’s like they made it with me in mind. But that, you parochial fool, is the beauty of it. I can walk around, travel bag in tow, knowing that I’m holding six figures on my arm while every other dunce around me is blissfully ignorant to my net worth—that is, until they see my red soles. At that point, though, they’ve probably been staring for too long. Oh, and does anyone want a car? I have an extra. Yellow, ran when parked in my garage, seven miles on the odometer. Make an offer.